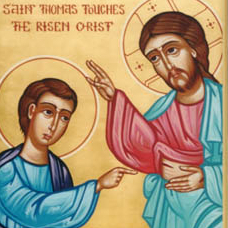 Father Thomas Hopko educates us on why the Sunday a week after our Lord's Resurrection is also called Antipascha. Bobby Maddex interviews Fr. Charles Joanides and Pres. Kerry Pappas, the leaders of the Orthodox Clergy Couples Retreat, which will take place May 22-24 at Antiochian Village in Ligonier, Pennsylvania. Frederica Mathewes-Green urges us to focus on the truly important aspects of our Orthodox faith instead of getting distracted by politics, scandals, or gossip. New Podcast - Food, Faith, and Fasting! This podcast is geared toward Orthodox Christians who want to care for their health in a spiritually minded manner. Host Rita Madden is a Registered Dietician who finds inspiration in the great role that the Orthodox Christian faith plays in her modern-day healthcare profession. Need an Orthodox speaker for your next conference or event? Look no further than the Orthodox Speakers Bureau. On a new Ancient Faith Presents, host Bobby Maddex interviews bureau director Cynthia Damaskos. On a new Postcards from Greece, Fr. Peter Alban Heers continues his series on life in Greece with a brief description of the major events and important traditions and customs that take place around Pascha in his mountain village Petrokerasa. Fr. Thomas Hopko examines the Mystery of the Crucifixion and Resurrection of our Lord and how it led to the re-creation of the world. 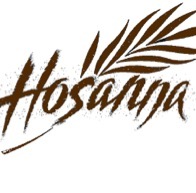 In this encore presentation of Frederica Here and Now, Frederica Mathewes-Green reads from a Kontakion by St. Romanos the Melodist about the disciple who betrayed Jesus. On a new The Orthodox Moviegoer, Bobby Maddex reviews The Mirror, directed by Andrei Tarkovsky and starring Margarita Terekhova and Ignat Daniltsev. 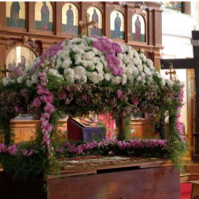 A silly visit from the "Easter Bunny" leads to a serious exposé of "Spring Celebration Customs," the Bunny Basket, and the Pascha Basket—even red eggs—in this timely encore episode of Orthodixie with Fr. Joseph Huneycutt. Fr. Thomas Hopko takes a closer look at the "Celebration of the Kingship of Christ." 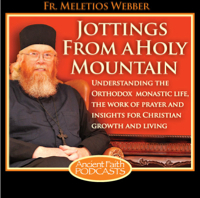 Recorded during the 4th week of Great Lent, Abbot Meletios brings us up to date on projects at the monastery and talks about an upcoming pilgrimage to the Holy Land. He concludes with a helpful description of the Lenten journey.